Mark Carney’s appointment as governor of the Bank of England changes the game for UK banks. On the big issues – capital, liquidity, and structural reform – the Canadian central banker is unlikely to deviate significantly from current policies. But the new man’s different skills and interests, compared to current incumbent Mervyn King, could still make a tangible difference. Carney’s role as chairman of the Financial Stability Board, the global forum of central bankers and treasury officials, means he will probably be just as hawkish on tougher Basel III capital and liquidity reforms, and the ability to bail-in creditors, as King is. 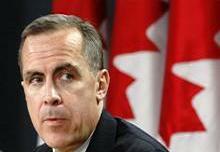 But judging by the leverage ratios demanded of Canadian lenders, a Carney-run BoE could go further. Meanwhile, Carney’s position on so-called Vickers reforms to ring-fence retail banking arms from riskier investment banks is less clear-cut than King, who advocated full implementation of the Vickers plan. Granted, UK chancellor George Osborne said on Nov. 26 that Carney supports the reforms. But if the new governor had been a huge fan of such ring-fencing, he might have said so already in his speeches. Furthermore, implementation details leave a lot of leeway to a regulator if their enthusiasm proves lukewarm. Carney’s presence should also make a difference in the way the BoE publicly communicates. Banks have been left bewildered of late by the mixed messages from UK regulators: some directors of the Bank have advocated higher capital ratios, others a relaxation to help banks lend, and some have implied that Basel III should be radically rethought. As a macroeconomist with relatively limited financial experience, King too often sounded like just another voice in the choir. Carney’s reputation as a robust regulator, and his experience in business and politics as well as central banking, make a clearer message more likely. These same qualities should also help as the euro zone is embracing banking union. The danger is looming that the European Central Bank’s proposed enhanced role will end up squishing non-euro zone states. Carney’s ongoing FSB role, and his good reputation among global regulators, will help to deal with spats. That’s just as well: there are many ahead. Mark Carney, the new governor of the Bank of England, supports the ring-fencing reforms proposed by the Independent Commission on Banking, the UK Chancellor of the Exchequer George Osborne told UK lawmakers on Nov. 26.